I realize that not everyone has read Thirteen Months, but I have been asked to clarify a story that is in the book regarding an encounter with a rat. The following is from the book, and it is true. It will take two posts to tell it. We were scheduled to fly home early in the morning, so we had to get up, pack, and catch a cab to the airport. We had been in the middle of chemo for the previous three days and were exhausted. Finally climbing into bed around midnight, we immediately fell asleep. It was a little warm in the apartment since we had taken the air conditioner out of the window that afternoon in preparation for the winter, so we had a fan on a table at the foot of the bed. Around 12:30 a.m. we were both awakened by the noise of rustling paper; it sounded like a bag being blown off the table by the fan. I didn’t think it had awakened Gwen, so I didn’t get up. We heard the noise again, and she sat up. I did too, still suspecting the noise was the result of the breeze from the fan. I turned on the light as I got out of bed, expecting to see a plastic bag being tossed about. There was nothing obvious so I looked past the table to where the trashcan was. What I saw was not paper—and I was not prepared for it. 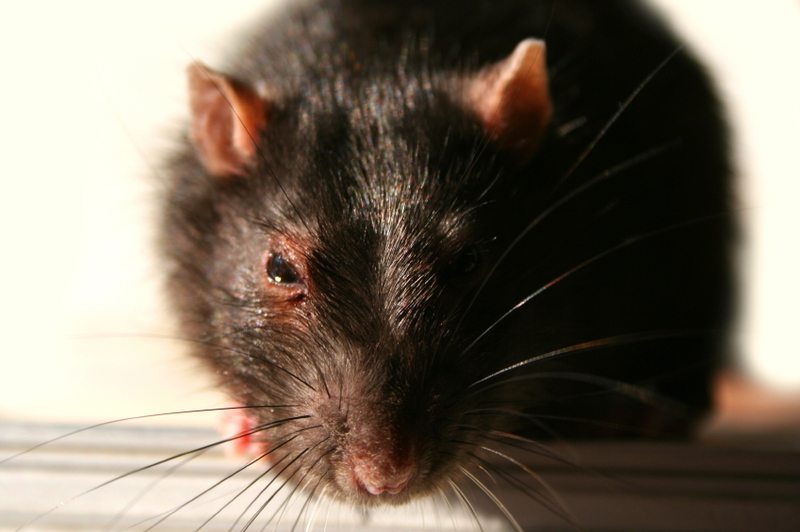 I stood frozen in disbelief as a large, brown sewer rat stared at me with huge glowing eyes. After what seemed to be a very long of time but was only seconds, it slowly turned around and sauntered into the bathroom, turning and walking under the claw-foot bathtub. It was eighteen inches long, including the tail, and was fat and heavy, walking unhurriedly with arrogance and disrespect. I didn’t know what to say, so I took a moment (still frozen) to formulate an appropriate response. I finally decided on an unembellished reply. “Rat,” I said in an equally soft but somewhat higher voice than hers. We started making calls to hotels in the area … there were no rooms available. We called other parts of Manhattan and the hotels by the airport … no rooms. Uh-oh. Now we had to make some new plans … ugly plans. Tomorrow—How do you fight a Giant Sewer Rat? This blog is now compatible with iPads, Smartphones and all devices.